Excel International College was established in 2009 with co-operation of Chaudhary Group of Industries which is one of the leading companies in Nepal. It is affiliated to Pokhara University. It is Business College and basically aims to improve business studies. Excel College provides Bachelor in Business Administration Banking and Insurance (BBA-BI) and Bachelor of Busiess Administration(BBA) is taught under the Bachelors level. Excel International College is located at Lakhechaur Marg, New Baneshwor, Kathmandu.For more information visit info@excelcollege.edu.np. Study the most popular and demanded course from Excel International College and graduate as a qualified candidate. Learn more about the course details and other additional informations by going through the given link. Is Banking your passion? Then graduating in Bachelor of Business Administration in Banking and Insurance might be the right choice for you. Excel International College provides a well maintained and advanced course along with vocational training and skill development programs. Browse for more details for joining this college. 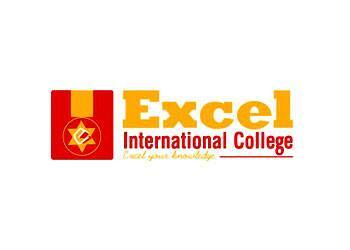 Excel International College has attractive scholarships schemes. Scholarship starts from students securing minimum of 55 percentages. HSEB toppers are granted full scholarship. Entrance topper is also granted scholarship for the first semester. Students ranking first, second and third in semester exam are granted 100, 50 and 25 percentage gradually. Needy students must apply for the scholarship and college evaluates to decide whether to provide scholarship or not. Infrastructural facilities include library, computer lab and power back up. Co-curricular activities are basketball, football, table tennis, etc. Academic programs like workshops, presentations, seminar, conference and guest lectures are organized by Excel International College. Internal assessments results are closely monitored and further actions are implemented for further improvement. College canteen provides healthy foods in affordable prices. Transportation facility is also provide by college bus which picks students from every corner of the valley. Technological aspects are fulfilled as upgraded configurations in computer, projectors and audio video classes are carried out at Excel International College. CCTV camera monitors each and every activity students are performing throughout the semesters and actions are taken if any wrong activities are happening. Admission process are forwarded for those securing minimum of 45 percentage in their plus two or equivalent level which is recognized by Pokhara University. Certificates photocopy of SLC, plus two, character certificates and migration are required. Students should fill up the form and appear in the entrance examination. Students passing the entrance exam are called for interview along with their respective guardians. And after that college committee decides whether to accept or not. If accepted then students are now able to join Excel International College.